Ah, the freelance “feast or famine” cycle. 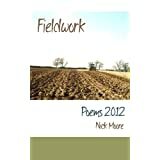 I hope the work starts pouring in again soon – really enjoyed the poem. Hi – and thank you very much for your comment! Yes, always seems there’s too much or too little when you’re hoeing your own row. I don’t think my clients read my blog (or, at least, I hope they don’t!) but I’ve had a couple of jobs come through since I posted this, so I guess we shouldn’t underestimate the power of poetry! And always good to hear from Canada: still quite possibly my favourite place in the world, although it’s been way too long since I was last over there. Nick. Great to have you with us here in the Old Country! I’ve been lucky enough to make three visits to Calgary, AB, en route to ranch vacations in Cranbrook and Clinton BC, most recently (if that’s the right word) in 1997! Had a couple of day trips to Banff and never forgotten it. Spectacular country. I’m in East Sussex, about 40 miles south of London: it’s tame stuff compared to Canada, but there are worse places to live, I guess! N.
I’m glad the commissions started flowing again quickly, Nick. Ah, the reason I never had the stomach to freelance, Nick. I can’t say that I never had too little to do, though. Mostly I was so terrified of that possibility that I always took on too much and thus had no life but work. Now that I’m retired, however, I am having trouble writing when I never had trouble before, even during my most busy times. The lack of deadlines seems to work against doing what you want to do when you have all the time in the world to do it. I’m glad you’ve got contracts again. Still, I always celebrate when you are writing poetry. Wonderful to hear from you, as always, my friend. Things are still pretty flat, if I’m honest; although a client called me yesterday with a potential project that could save February from being a total bust. The problem is, I’ve had a few days to catch my breath and really THINK – and that’s when I see my work, and the industry I operate in, for what they truly are. I’ve been doing this for 15 years, which is probably five years too long: the question is; what next? N.